The Land Law promulgated by Royal Decree 5 of 1980 (as amended) has been further amended by Royal Decree 56 of 2014, effective as of 14 October 2014. Generally as a matter of Omani law, an Employer (as defined by the Oman Labour Law, as promulgated by Royal Decree 35 of 2003 (“OLL”) is entitled to restructure and/or re-organise its business and consequently the workforce, for economic, technical or structural reasons. Further a Supreme Court decision in Oman has held that an Employer has the absolute power and authority to reorganise its business, be responsible for the management of the same for the realisation of profits therefrom and to assume responsibility for any failure of its business. In keeping with its aim to develop the mining sector to achieve optimal exploitation of mineral resources in a manner that will best serve the development goals in the Sultanate, the Ministry of Commerce and Industry (“MOCI”) issued Royal Decree 49 of 2014 on 21 September 2014 which established a Public Authority for Mining in Oman (the “Authority”). The Regulation of the Works of Institutions and Companies Operating in the Contracting Field (the “Regulation”), enacted pursuant to Ministerial Decision No. 174 of 2014, came into force on the 19th June 2014 with the aim to supervise construction companies and monitor their activities more closely and, in particular, with regards to ensuring that construction companies adhere to health and safety obligations as set out in the Regulation. Ministerial Decision 284 of 2014 (“MD 284/2014”) which came into force on September 8, 2014 specifies the percentage of Omani employees working in the electricity and water sectors that must be complied with. On September 22, 2014, RD 49/14 established the Public Authority for Mining (“Authority”) and its system. The Authority shall be affiliated with the MOCI and shall act as a legal entity with full authority and eligibility to own, manage, and dispense fixed and movable funds. The Royal Decree is effective from the date of its issuance. How does Electronics Transactions Law impact Electronic Transactions in Oman? This article briefly covers the fundamental principles of the ETL and how it may affect any contractual agreement entered into electronically. What are the benefits of an excellent grade company? Whilst registering a limited liability company (“LLC”) in Oman, clients often enquire about the upside of incorporating an LLC with higher capital and how does the grade specified by the MOCI benefit the LLC. The new Omani Nationality Law: How big is the departure from the old law? The Sultanate of Oman recently issued a new Omani Nationality Law (RD 38/14) (“New Law”) which replaces the earlier Omani Nationality Regulatory Law promulgated by RD 3/83 (“Old Law”). Amendment to Insurance Company Law - What are the new regulatory requirements? Royal Decree 39/14 issued on August 12, 2014 introduces new regulatory requirements for insurance companies (“Royal Decree”). Royal Decree 23/14 has ratified the convention between the governments of the Sultanate of Oman and Japan as on page 2 on the avoidance of double taxation and prevention of fiscal evasion with respect to taxes on income (the “Convention”). The Convention was signed earlier in the year on January 9, 2014. Promotions and Promotional Offers are governed and regulated by Ministerial Decision No 239 of 2013 (“MD 239/13”) of the Ministry of Commerce and Industry (“MOCI”). According to MD 239/13 Promotional Offer is defined as “any scheme that provides offers that promote a specific commodity or service during a specific time in return for giving the consumer a prize, gift, service or any other benefit”. The Dodd Frank Wall Street Reform and Consumer Protection Act (the “Dodd Frank Act” or the “Act”) became law on July 21, 2010. Whilst the Dodd Frank Act has established a comprehensive reform of the United States (“US”) financial regulatory system, and has made changes to most of the financial industry, the focus of this article is based on the Act’s effect on swaps. In particular, this article addresses the requirement that certain swaps need to be cleared through clearing houses (“clearing requirements”). In July, Oman’s Commercial Agencies Law (“CAL”) was amended by virtue of a new law, Royal Decree 34/14. It is one of the most significant changes in Omani law in recent times. We are pleased to announce that Florian A. Maier-Leonhardt is joining the Muscat office in September as a counsel in the Corporate and Commercial team. Florian is a German attorney-at-law, admitted to the Munich Bar Association. He has lived and worked as a corporate and commercial lawyer in the UAE and the Sultanate of Oman since 2006. Prior to joining Curtis, Florian was working with an international law firm in Abu Dhabi and a local law firm in Muscat. The Commercial Agencies Law promulgated by Royal Decree 26 of 1977 (as amended) deals with the relationship between a manufacturer or supplier (the “Principal”) with no legal existence in Oman and a company or merchant in Oman (the “Agent”) who enter into an agreement. The agreement would permit the Agent to sell, promote or distribute the goods, products or services of the Principal. The latest set of amendments to the Commercial Agencies Law is Royal Decree 34 of 2014 (the “RD”) effective from July 21, 2014. On May 29, 2014, one of the largest producers of steel nails requested that the US Department of Commerce (“Commerce”) and the International Trade Commission (“ITC”) impose antidumping and countervailing duties (“CVD”) on imports of steel nails from seven countries, including Oman. This trade case comes two years after Commerce imposed antidumping duties on imports of steel nails from the United Arab Emirates and five years after such duties were imposed on steel nail imports from China. US manufacturer Mid-Continent Steel and Wire Inc. (“Mid-Continent”) filed a CVD and antidumping petition (the “Petition”) alleging that unfairly traded imports from the seven countries are materially injuring the US industry. The ITC on July 11, 2014 rendered an affirmative preliminary injury determination in relation to this trade case. Accordingly, such an affirmative determination means that this trade case will now pass to Commerce for an investigation as to whether or not the Omani Government has bestowed countervailing subsidies to Omani exporters. The Central Bank of Oman (“CBO”) has introduced the latest set of global regulatory standards known as Basel III to Omani banks. Basel III is a global, voluntary regulatory set of standards governing bank capital adequacy, stress testing and market liquidity risk. This third installment of the Basel Accord was developed in response to the deficiencies in financial regulation revealed in the aftermath of the global financial crisis in the late 2000s. The Law regulating the Ownership of Real Estate by Gulf Cooperation Countries (“GCC”) Nationals in the Member States for the purposes of Residence and Investment was issued by Royal Decree 21 of 2004 (the “GCC Law”). The selection of arbitrators can have a fundamental impact upon the success of an arbitral process. It is therefore important for the parties to have a clear appreciation as to the type of arbitrator they seek from the outset. 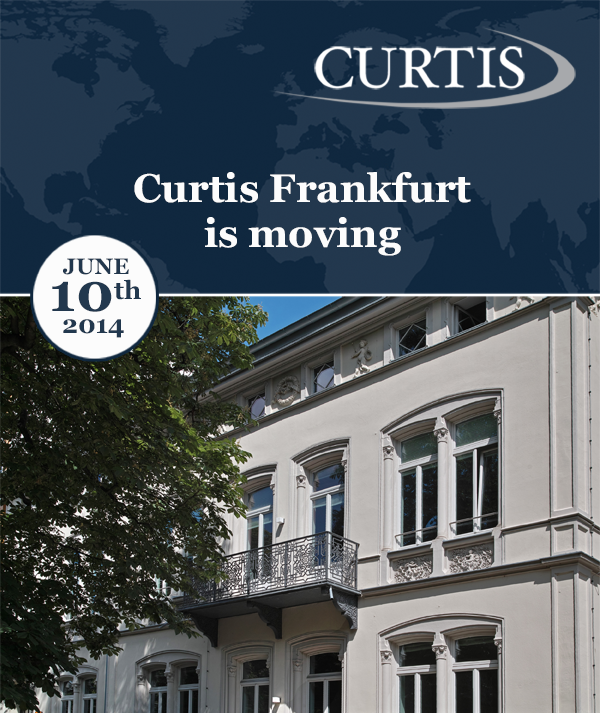 Curtis Mallet-Prevost, Colt & Mosle is pleased to announce the new address for its Frankfurt office. The office has relocated to larger premises in Frankfurt in order to accommodate the office’s thriving business. The Ministry of Manpower has by its directive dated 15 April 2014 extended the ban on hiring expatriate workers in construction and housekeeping jobs in the private sector. This ban will be effective from 4 May 2014. The ban was initially imposed in November 2013 for a period of six months. Non-Omanis can purchase property in Integrated Tourism Complexes (“ITCs”) in Oman pursuant to the Law on Ownership of Real Estate within Integrated Tourist Complex by non-Omanis (promulgated by Royal Decree 12 of 2006, as amended) (the “Real Estate Law”). The ITCs formed pursuant to the Real Estate Law are: The Wave Muscat; Muscat Hills Golf and Country Club; Jebal Sifah; and Saraya Bandar Jissah. Corporate Governance is the method by which corporations are controlled, specifying how a corporation’s structure for decision-making is to be governed as well as setting out strategies for monitoring performance. Recently, the Capital Market Authority (“CMA”) in Oman circulated a draft Code of Corporate Governance (the “New Code”) which will, if approved, replace the existing Code of Corporate Governance issued by circular 1 of 2003 (together referred to as the “Codes”). Both the Codes set out that the provisions are obligatory on all public joint stock companies listed on the Muscat Stock Market and investment funds taking the form of public joint stock companies. The aim of the New Code, which is in line with the GCC Code of Corporate Governance, is to enhance and expand on the existing principles of corporate governance. Under Omani law franchise relationships fall under the ambit of the Commercial Agencies Law (the “CAL”) promulgated by Royal Decree No. 26 of 1977 (as amended). This is because the CAL states that “every agreement to which a manufacturer or supplier outside the Sultanate entrusts to one merchant or more, a commercial company or more in the Sultanate, the sale or promotion, or distribution of goods and products, or provision of services whether as an agent, or representative, or broker of the principle producer or supplier, who has no legal existence in the Sultanate,” is bound by the CAL. It should be noted that franchise agreements can be made subject to a non-Omani law, if coupled with an arbitration clause. Bribery and corruption made for some high-profile arrests and headlines in the Sultanate in 2013/14 which has highlighted the need for companies operating in Oman to have and maintain fully robust anti-corruption compliance programmes. This is to satisfy the demands of regulatory authorities in Oman as well as foreign headquarters in complying with local and international laws - some which have extraterritorial effect. The US Embassy recently circulated a ROP Customs circular clarifying the thorny issue of whether transshipment of US origin goods (meeting the 35% value added threshold) are eligible for a duty exemption under the US-Oman Free Trade Agreement (FTA). The Circular confirmed that such qualifying goods can be imported to Oman duty-free. Under the FTA, Oman must give goods produced in the United States special duty rates as stipulated under this agreement (Article 2.3). The particular goods that are eligible for duty-free treatment or those subject to gradual elimination of duties over a 5-10 year period are detailed in Annex 2-B of the FTA. Oman must follow this provision unless the FTA provides an express exception. However, no exception in relation to goods arriving by land transportation is contained in the treaty. Further, the FTA states that where a US origin good is merely unloaded, reloaded and transported through another territory to the parties, it is still considered “imported directly” from the US and therefore eligible for the FTA duty rate (Articles 4.1 and 4.9). Additionally, if customs officials decide to deny the FTA rate, they are required to issue a written decision containing the factual and the legal basis for denying the rate (Article 4.1, paragraph 3). If the ROP have a doubt as to the eligibility of goods for the FTA rate, the burden is on the ROP to prove the ineligibility. The FTA does not require certificates of origin; however, Article 4.10 expands on what custom officials do require. The World Trade Organisation (“WTO”) has defined “dumping”, in the context of international trade, as a pricing strategy whereby manufacturers/producers export their products/produce to another country at a price lower than the price charged in their home market. It can be described as a form of price discrimination. The Omani judicial system is inquisitorial in nature; judges have the ultimate authority to make inquiries and to investigate the facts and evidential documentation of the cases before them. At times, the court decides to appoint an expert to assist it in its decision-making process. Over the past decade, Oman has experienced tremendous economic and infrastructural growth, and the number of construction projects has substantially risen throughout the Sultanate. Whistleblowers play a key role in exposing corruption, fraud, incorrect financial reporting and other wrongdoing in every business and public agency. Usually the first people to suspect unlawful or improper conduct are those who work within or with the organisation. A typical organisation loses five percent of its revenues to fraud each year1 and the longer the misconduct lasts, the more money the company or organisation will stand to lose. The Ministry of Commerce and Industry issued Ministerial Decision No. 3/2014 issuing regulations for the operations of Al Mazyoona Free Zone. We are in the process of analyzing the regulations and may have an article in the coming month. The Omani Labour Law (promulgated by Royal Decree 35/2003, as amended) (“OLL”) covers leave entitlements available to employees working in Oman. Last month, we discussed Oman’s ratification of the UN Convention against Corruption (the “UN Convention”) endorsed by Royal Decree 64/2013; the existing legislations in Oman against corruption; and the measures to be adopted by the Government in the public sector, private sector and the judiciary to prevent corruption in accordance with the guidelines specified in the UN Convention. In this article, we summarise certain aspects of Oman’s existing legislation relating to anti-money laundering and discuss the link between provisions of the existing legislation and the UN Convention. Although mediation remains a largely unexplored dispute resolution mechanism throughout much of the GCC, it could certainly be a useful method for disputing parties to reach an amicable and expeditious resolution. This article will provide an overview of the mediation process, the role of the mediator, and will briefly discuss some of the benefits to mediation. In the attempt to prevent and eradicate corruption in the Sultanate of Oman, his Majesty the Sultan Qaboos bin Said has recently issued Royal Decree 64/2013 ratifying the Sultanate in joining the United Nations Convention Against Corruption (the “UNCAC”). As a direct result of Oman’s enlarged presence in the global economy, it became essential for Oman to develop a reliable and controlled medium for transactions to be carried out through electronic means. Accordingly, in 2008, the legislature in Oman passed the Electronic Transactions Law (the “Law”), promulgated by Royal Decree 69/2008. In today’s environment, we very often come across employment contracts with non-compete clauses as a mechanism to protect an employer’s business interests from unfair exploitation by former employees. Whilst non-compete covenants are acceptable in most Western jurisdictions, they have historically been regarded less enthusiastically by the Omani Courts and have not always been upheld. As a matter of policy, the Omani government constantly aspires to develop and maintain strong relations with other countries, and such is reflected in its foreign policies. Accordingly, Oman has adopted several mechanisms for the enforceability in Oman of foreign court judgments (which are final and non-appealable) and arbitral awards. Royal Decree No. 60/2013 issued and effective from 31 October 2013 amends certain provisions of the Tender Law. We are in the process of analysing the amendments and shall give a detailed update next month. On 12 November 2013, Curtis, Mallet-Prevost, Colt & Mosle LLP was invited to speak at the Chartered Institute of Building Masterclass on Delay, Dispute Resolution, and Management of Construction Contracts held in association with Hill International. The following are some of the areas which were covered by Curtis in its presentation to the delegates. Amendments to the Law for the Regulation and Privatisation of the Electricity and Related Water Sector (the “Sector Law”) promulgated by Royal Decree No. 78/04 as amended. Investment funds have become increasingly popular investment structures in Oman, with several funds becoming active in the market recently. These investment funds may be formed and organized either in Oman or outside of Oman. For an investment fund established outside of Oman targeting investors located in Oman, such fund must comply with the Oman Capital Market Law (Royal Decree No. 80/98) and other applicable laws. Investment funds established in Oman must also comply with the Oman Capital Market Law and regulations issued by the Capital Market Authority (the “CMA”). In this article we focus on the key formation and establishment considerations for investment funds to be established in Oman. Some of the most successful companies worldwide remain family businesses - for example, Walmart, Ford, Cargill and Bombardier in North America, Peugeot, IKEA and LVMH in Europe and Tata, Samsung and Toyota in Asia. The most successful family firms are built and sustained across generations. Many of the Western family businesses have instituted corporate governance structures that continue to have the active involvement of members of the original founding family.